Making a video instead of a dish can be a really interesting way to really highlight the food and you you have put it together. Video can be quite daunting though, especially if you’ve never done it before. 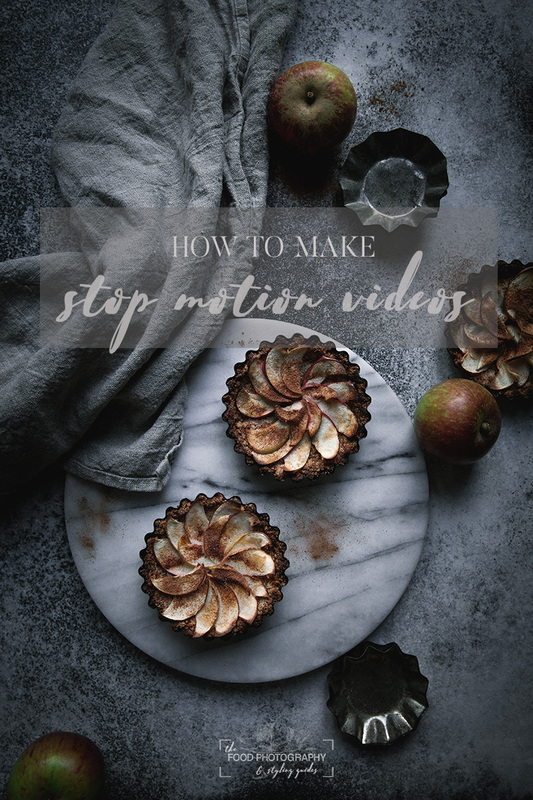 A stop motion video though creates the illusion of movement but is actually a series of still images. Remember those old flip books you may have had as a kid, where each one would have a picture in the bottom corner, subtly changed for each progressive shot, and when you flicked through quickly it looked as though the picture was moving? It’s a similar concept to that. A camera. Obviously 😉 You can use either a camera phone or a DSLR here. A tripod. This is an essential as you will need to keep the camera completely still while taking your series of photos. If you don’t have a tripod, place your camera on a secure surface as opposed to having someone hold it, to ensure the camera is steady and stays in the exact same spot for the duration of the shoot. Video software. I use Adobe Premiere to compile the series of photos into a video as shown in the video below, but you could use any other software like iMovie, or even create a video from your stills using a video making app. Stop Motion Studio and Lapse It are two free apps specially for stop motion video, but most video apps will allow you to add stills (ie photos) which is what you want to do. A subject! It goes without saying – but you need something to shoot. You could show a progression of making a dish, or just pick part of the process, like the garnishing/decorating. Or you could just show a progression, such as the progression of berries in the video below. Load your photos to a video program or app, and hey – you’re done! Once you get the hang of this, it is incredibly simple and easy – for me to shoot a fairly simple video like either of the ones on this page (the berry progression or the apple tart decorating), bulk edit the images and turn them into a video took less than half an hour end-to-end… though obviously I have to make the tart pastry, cut the apples etc for that one – but you get the general idea – once you get the hang of it, it’s pretty quick and a lot of fun! WANT TO LEARN STUNNING FOOD PHOTOGRAPHY?